September 1941. "Small town scenes in Vermont. 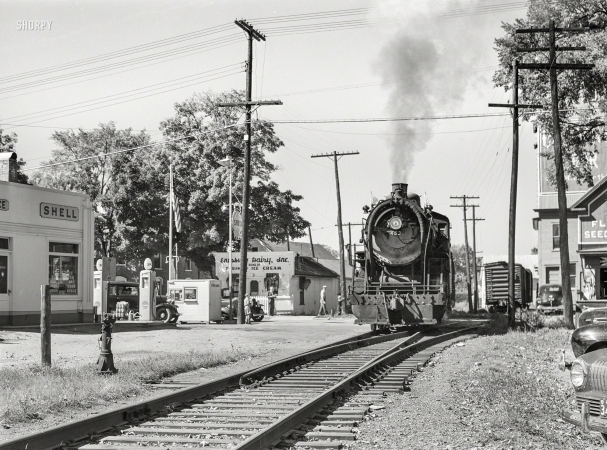 Locomotive passing through Enosburg Falls."